- Our specialties include the most Advanced CUSTOM Lasik Vision Correction techniques. 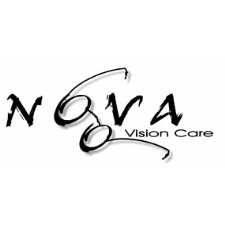 - Comprehensive Adult and Pediatric eye care. - Dayton Eye Associates is a group of board-certified ophthalmologists; physicians trained in the diagnosis of eye disorders and their medical and surgical treatment. - We desire to educate our patients concerning their eye health and offer preventive solutions to promote sustainable, healthy vision. - Laser & Eye Surgery Center-LASIK Vision Correction. Whether it’s LASIK, laser eye surgery or cataract surgery with the latest implants lenses (IOL), peace of mind is a beautiful thing, especially when it comes to your vision. - If you're passionate about being treated by a skilled LASIK surgeon and receiving the best possible results, then choose LasikPlus for your LASIK procedure. Dayton LASIK surgeon Dr. Vince Marino is a leader in laser eye surgery. - Serving the eye care needs of Dayton since 1952.